We wrap up MLD’s Green Lantern Thursday with the title with the longest name and the issue with the most words, Green Lantern: Emerald Warriors #8. This series focuses on another Green Lantern replacement for Hal Jordan, namely Guy Gardner. Gardner is probably the character I least care for among the Green Lanterns from Earth, but this issue actually makes some strides toward changing that. Again the issue begins by focusing on what’s been happening previously in this title, but it concludes with by converging with what’s happening in Green Lantern and Green Lantern Corps. 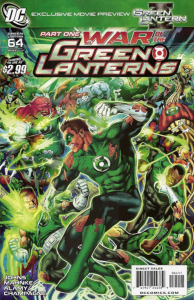 It’s Green Lantern Thursday here at MLD as we’re breaking down the current War of the Green Lanterns crossover running through Geoff Johns’ Green Lantern, Tony Bedard’s Green Lantern Corps, and Pete Tomasi’s Green Lantern: Emerald Warriors. I’m not terribly familiar with these books and on the surface it seems like one Green Lantern title would be sufficient. 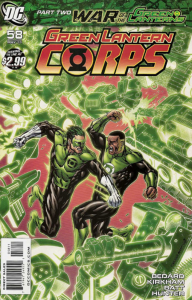 After reading this issue, I can see why page time is being given to Green Lanterns Kyle Raynor and John Stewart. They debuted as replacements for Hal Jordan and while he eventually returned these characters are strong enough to endure. On some level, I feel like I’m following the cosmic adventures of the Green Lantern having read Blackest Night and Brightest Day. However, after getting my hands on the first part of the War of the Green Lanterns crossover I’ve come to realize that I’m just keeping up with Earthbound aftermath of what Hal Jordan and company are actually up to. 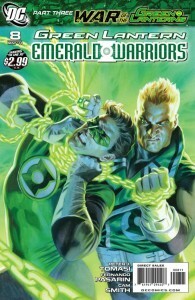 The prelude issue to this story, Green Lantern #63, was a great primer for the current threat of Krona and his bid to destroy the Guardians of the Universe, and it was very satisfying to get back to a book featuring the various Lanterns writer Geoff Johns’ has introduced in the last few years. Yesterday saw the much anticipated (at least by me) release of THQ’s WWE All Stars video game. While I haven’t had a lot of time to spend on it so far, my initial reaction is very positive. We are deep into the WrestleMania time of year, so I know I might be tempted to give this higher marks than normal, but I think I can objectively say that this game is a lot of fun. 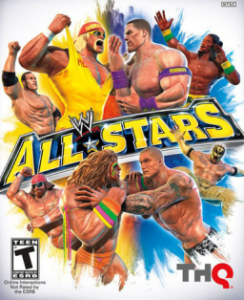 What sold me on WWE All Stars after a long time away from wrestling video games was the roster of characters and the angle of pitting current WWE Superstars against WWE Legends. The Legends roster is a lot of fun and includes some surprises like Jake “the Snake” Roberts. You also don’t see a lot of Randy “Macho Man” Savage (one of my all time favorites) associated with WWE these days, so his inclusion was critical to me along with the Hitman Bret Hart and Stone Cold Steve Austin. 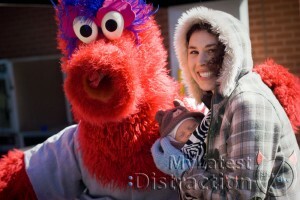 Our latest distraction gets his first picture with a Phillies icon. Everyone is in costume: Red Phanatic, teddy bear and the Flash's nemesis, Captain Cold. The 2011 Major League Baseball season is almost upon us. In preparation, my beloved Phillies are holding their “Paint the Town Red” series of events again this year, leading up to the Opening Day game on Friday, April 1st at 1PM. Things kicked off with on Saturday with the Phillies 5K at Citizens Bank Park and MLD was on hand for the event. It was great to be a part of Phillies history by participating in the inaugural race even if we didn’t break any records.